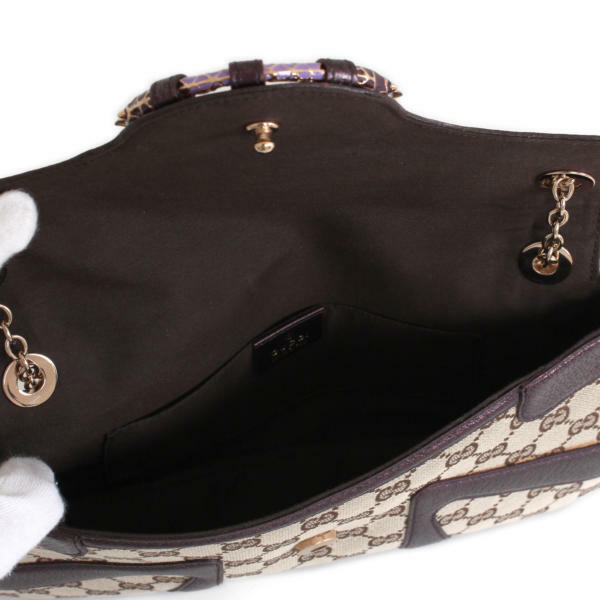 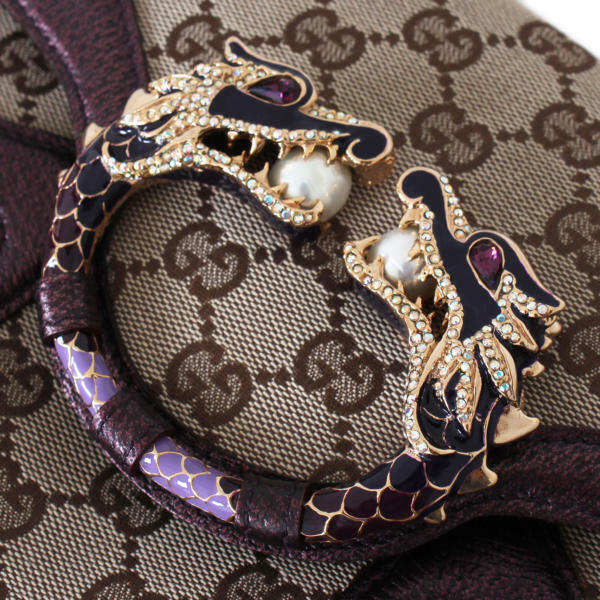 At CBL Bags you can find luxury second hand bags like this Dragon bag from Gucci. 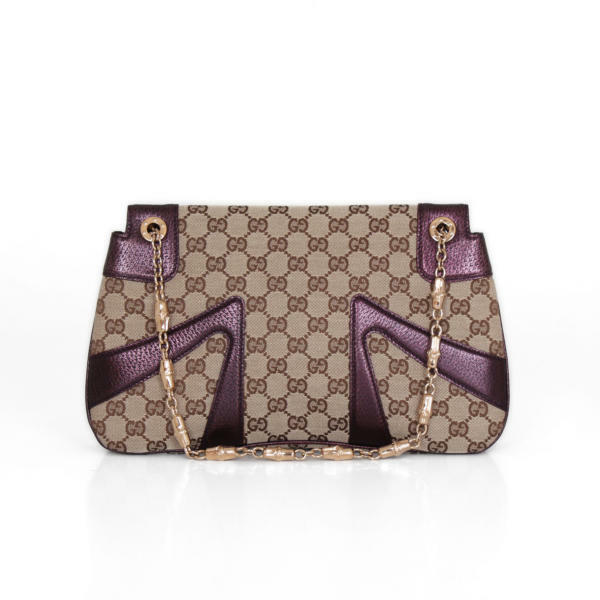 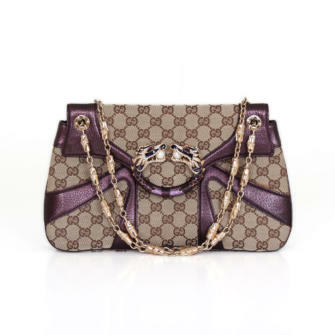 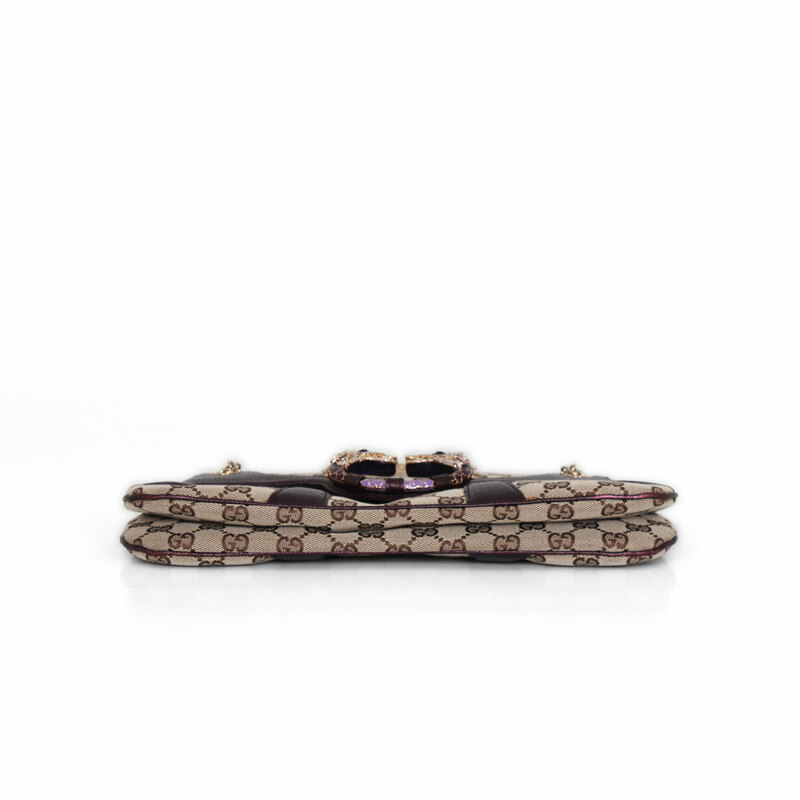 This handbag is crafted of the classic Gucci monogrammed canvas combined with purple metallic leather and gold-tone hardware. 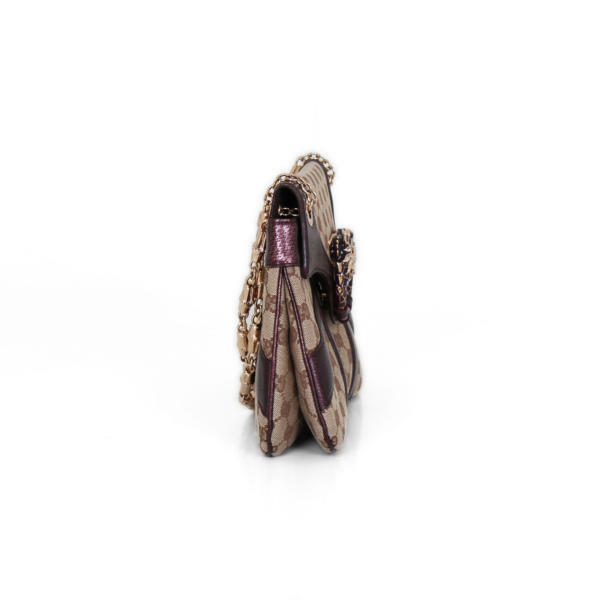 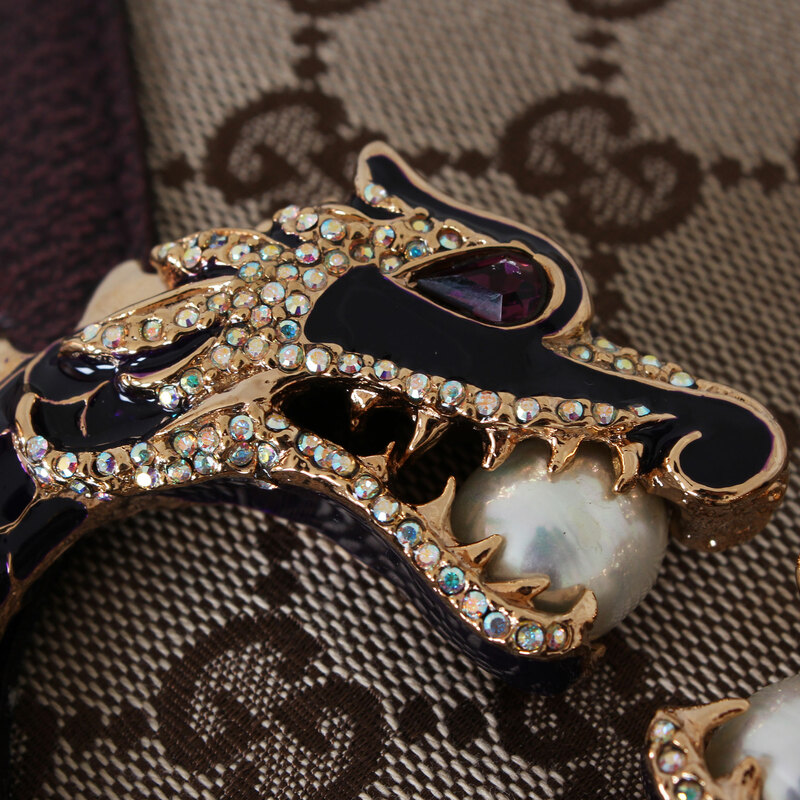 It features a partial front flap that closes with a magnetic clasp and shows a stunning appliqué of dragon heads crafted of metal and Swarovski crystals. 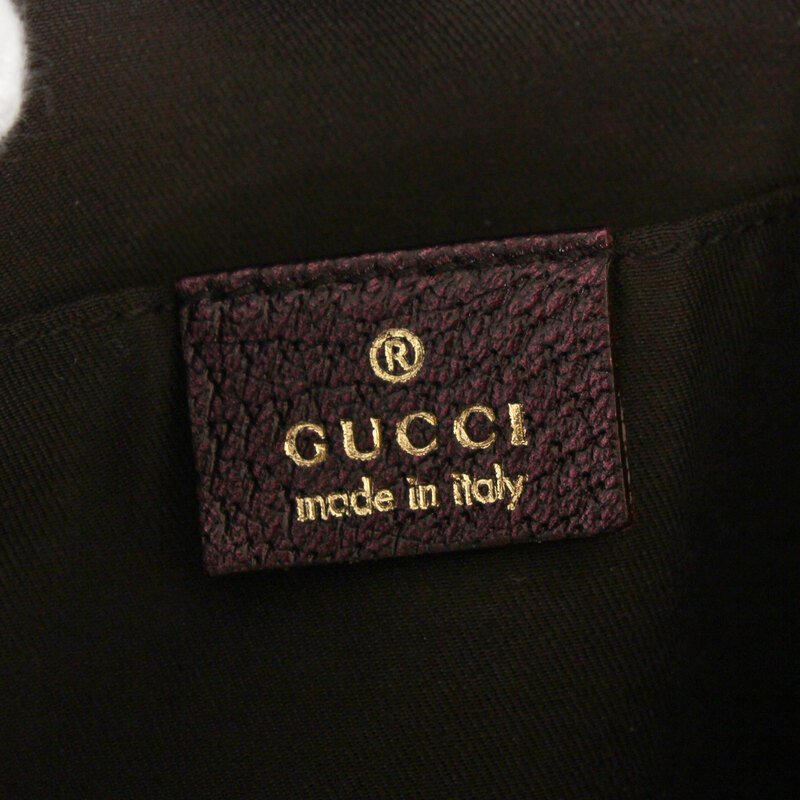 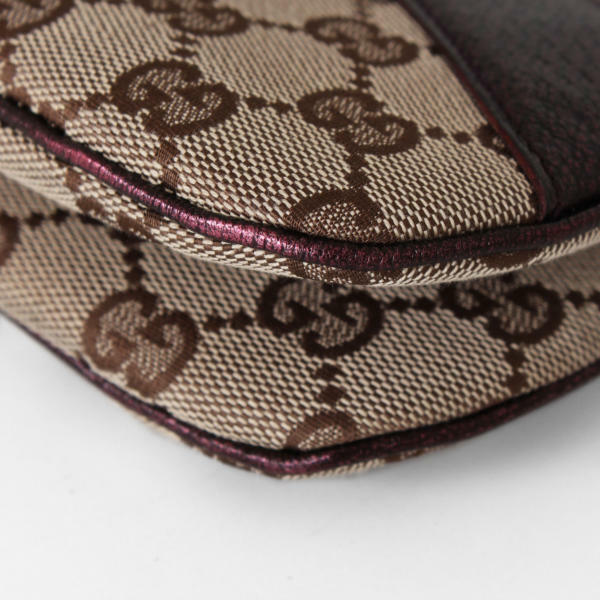 The interior of this Gucci bag is lined on a matching-tone fabric and features a flat pocket ideal for small objects. 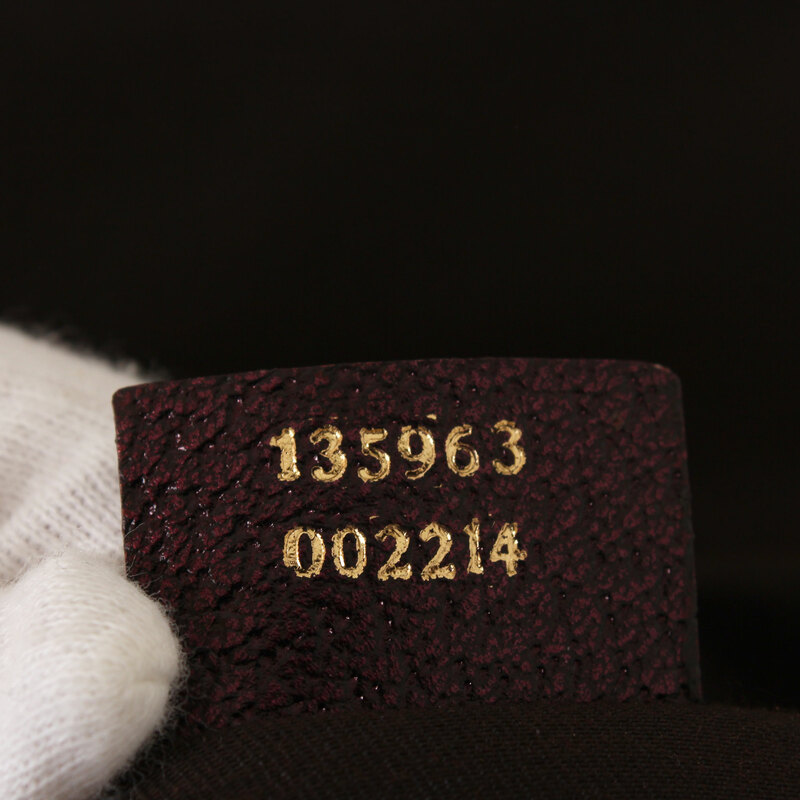 This marvelous Gucci limited edition is in a very good condition and includes dustbag and a small brochure.